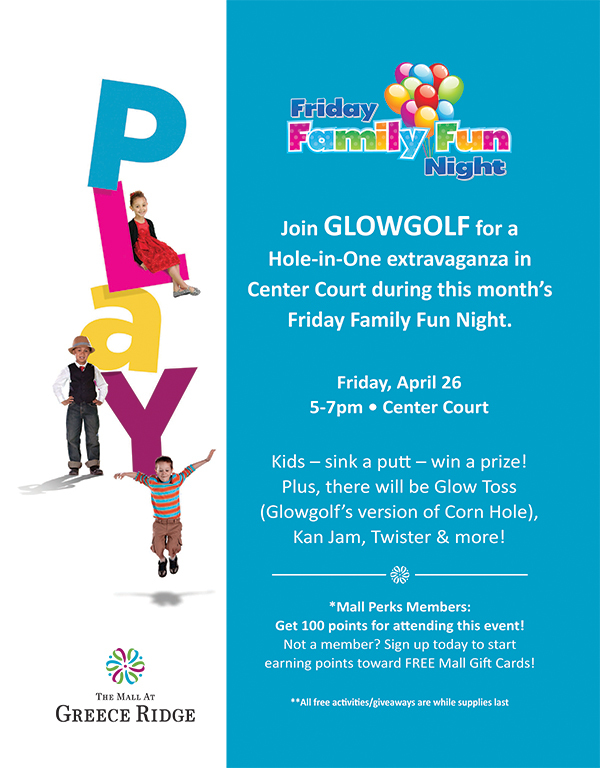 Join Glowgolf for a fun-filled night of mini-golf, games & prizes for this month's Friday Family Fun Night! Mall Perks Members - you get 100 Perk Points for attending this event! Not a Perks Member yet? Sign up today to start earning FREE Mall Gift Cards!